Colony West Sarsaparilla can be brewed to be alcoholic or non alcoholic. 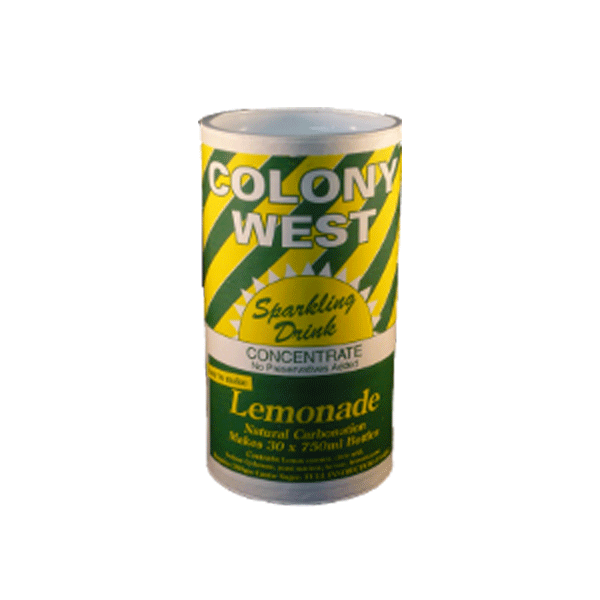 Colony West Lemonade: Strong lemon flavour, subtle sweetness. Lemonade can be brewed to be alcoholic or non alcoholic. 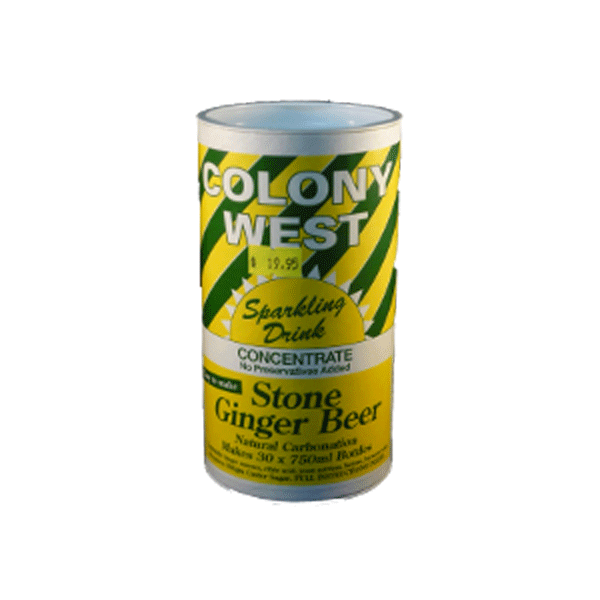 Colony West Ginger Beer: Classic spicy old stones style. Colony West Ginger Beer can be brewed to be alcoholic or non alcoholic.